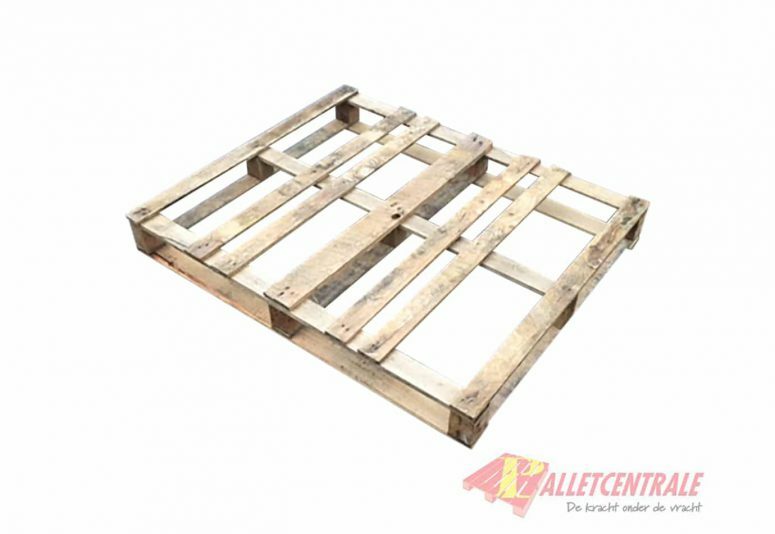 This reconditioned wooden beam pallet has a size of 100x120cm, it is a light weight version, with a crossdeck. 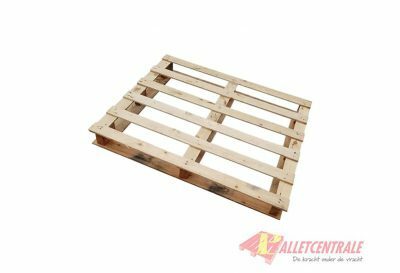 This pallet is delivered per 15 pieces on a stack, ordering in multiples of 15 is the most advantageous. Block pallets are constructed with shelves and “blocks” also called “bobbins”. 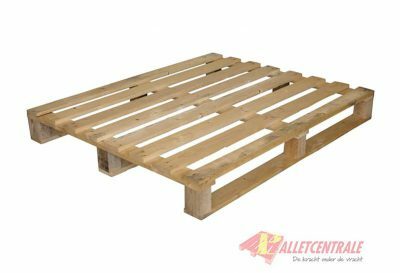 Block pallets are used for all kinds of purposes and can be picked up on four sides. A block pallet is available in 3 different versions; open, perimeter base and cross deck. In Europe the block pallet is by far the most used pallet.This pallet with bobbins is available in almost every conceivable size. 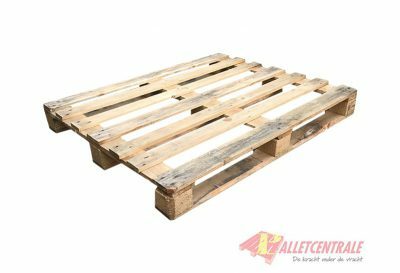 This pallet is at our location in Moerdijk and Middenmeer, if you choose to pick up this is only possible at these locations. 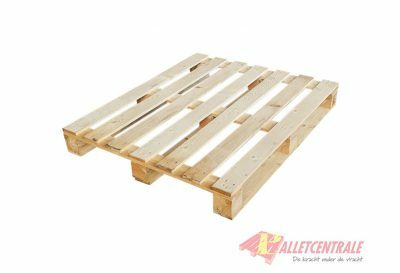 This pallet is delivered per 15 pieces on one stack, ordering in multiples of 15 is the most advantageous.